France had an absolute monarchy of Bourbon lineage prior to the Revolution, meaning that King Louis XVI was an absolute divine right monarch, his right to rule granted by God. 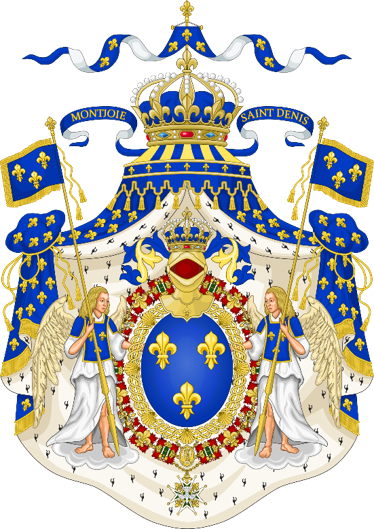 The monarchy was at the apex of the social order in France, above the First Estate, and was therefore considered above the law. The monarchy and royal court were based in the Chateau de Versailles, despite the capital of the nation being Paris. As such, the monarchy was often seen to be detached from the broader French society, as Louis XVI did not make many visits to towns and cities outside of Versailles. Nevertheless, Louis XVI was considered by the majority of the population, especially amongst the peasantry, to be the rightful ruler of France. Indeed, to the extent that there were serious flaws in the governance of France, most placed the blame on the King’s royal advisors who were thought to be corrupt and ineffective, in lieu of the King himself. It was thus inconceivable for most people, across all Estates, to have a French society without a monarchical system of government.